They can help you remember what it was to be good, what it was to love. 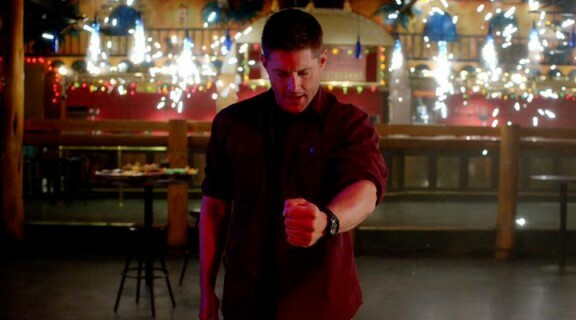 Season 10 of Supernatural has been a bit of a roller-coaster ride for me and I found the finale to be microcosm of how I’ve felt this past 9 months. At times the monster-of-the-week storyline seemed irrelevant and in the way of the main arc; Crowley and Castiel’s roles felt forced, almost as if the writer was obliged to find a place for them; Rowena managed to be both hilarious and conniving while showing glimpses of her intimidating strength; Dean felt he was losing his soul to the Mark when really his actions proved that the real Dean Winchester was never far from the surface; Sam showed, in words and actions, that the hunting life next to his brother is the only place he will ever be truly happy; Jared Padalecki and Jensen Ackles astonished us with award-worthy performances. Although to be fair that last point isn’t unique to this past season. Don’t get me wrong, I will put Season 10 in my top 5 ranking of Supernatural seasons, regardless of a few missteps. What I can mainly attribute this to, though, is the connection between our heroes, the Winchester brothers. I feel their relationship has become stronger in this season than we have ever seen it. Strange, you might think, given that Dean started the season with inky black eyes and spent the next 9 months spiraling into the evilness and psychosis induced by the Mark of Cain. But even Demon!Dean seemed to succumb to Sam’s puppy dog eyes and every time Dean fled because of the Mark it was out of fear of what he would do to his brother. 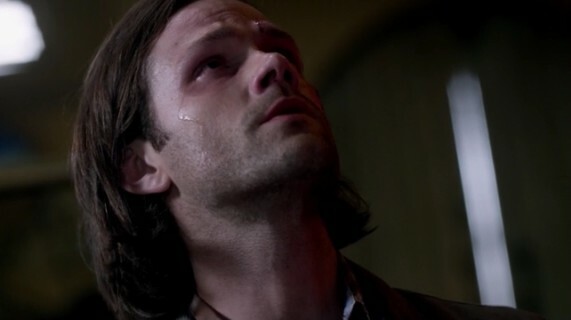 One of the pivotal moments of the entire season for me was when Sam admitted to Charlie he was finally happy. In Brother’s Keeper we saw the result of this as Sam fought to save his brother, realizing the actions of the older Winchester were not the “real” Dean and that finding a cure to the Mark was within his reach. 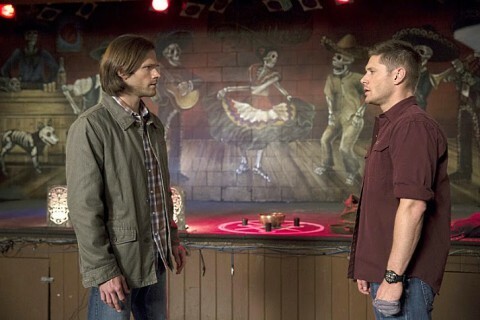 Even as Dean took Death’s scythe to Sam’s throat (we’ll talk about that again later) there was a resignation to Sam. He saw that Death was not wrong, that he would never stop searching for his brother and that would have horrific repercussions. While Sam’s mission this season had been to prove that they had the right to be selfish and think about themselves rather than the greater good, the antithesis of his previous beliefs, he saw how much Dean needed to be on board with Death’s solution and chose to support his brother. Paralleling the effect of the toy soldier in the Impala at the end of Season 5’s Swan Song, Sam’s decision to show Dean pictures of them with their mother to remind him what love was highlighted another first: Sam talking to his brother about love. Dean has brought it up in the past (in Season 5’s The End: “what we have between us, family, love, whatever it is…”) but hearing Sam insist “Charlie loves you, we all love you” in Dark Dynasty earlier this season coupled with the gesture of the photographs we finally heard what we have always known Sam to feel for his brother. It may seem insignificant to some but in so many ways their relationship has been what has saved the planet on numerous occasions even though Sam has always seem to be reluctant to be there. Now that Sam is on board with the life they lead it can only make them stronger. Let’s talk about Death for a moment. How many shows allow their fans to say “I love Death”? 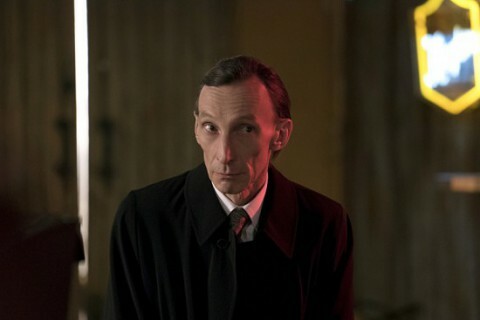 Julian Richings was a fan favorite from the moment he placed his cane on the sidewalk to the strains of Jen Titus’ haunting “Oh Death” in Season 5. He brought us a Horseman who was at once terrifying and lovable, all of us being able to relate to his love of junk food. He allowed the Winchesters to worm their way into his limited affections and in the end, that trust was his downfall. I don’t think anyone will truly object to Dean using the scythe on Death instead of Sam but I don’t know there are many fans out there who weren’t sorry to see the character go. Although, who knows; he’s Death, this is Supernatural, there’s a good chance he’ll be back! I was thrilled to see Rowena (Ruth Connell) show off her true powers in this episode. I do wonder if her motivation for helping remove the Mark was to raise the Darkness all along; she gave up on her request to kill her son fairly easily after Sam “soiled the sheets on that one”. Hopefully this means she will return next year stronger than before and we will have a compelling “big bad” for season 11. The Winchesters have never defeated a witch and if we assume the Darkness is the release of demons from Hell she would have many willing allies in whatever her nefarious plans may be. As I mentioned at the start, I did have some issues with this episode. While I recognize we needed to see Dean’s descent into being overpowered by the Mark, the case seemed almost irrelevant and in my opinion took up too much time in the episode. I also felt Castiel and Crowley were under-used, acting more as bodyguards to Rowena and occasional comic relief (Cas telling Crowley he summoned him because he’s not in his contacts list definitely made me chuckle), although their own cliffhanger was an interesting one in that it highlighted Rowena’s strength given that she cursed an angel and paralysed the King of Hell. One of the genius parts of Brother’s Keeper for me was the backstory of the Mark of Cain. We assumed we knew most of it but at Death’s reveal that it was the cause of Lucifer’s fall everything clicked into place. Azazel’s motivation for the curses he rained down on the Winchester and Campbell families over the years were all in the service of Lucifer. Therefore the Mark can be traced back as the catalyst for everything Sam and Dean have endured and I feel like we have come full circle in some ways. After Sam’s abandonment of Dean to Purgatory many fans were left asking how the showrunners could cause such a rift. Jeremy Carver responded by saying he needed to break them down before he could build them up. While the cliffhanger ending seemed to hint at our heroes being left in a dire predicament, the one thing that I took away from it was that Sam, Dean and Baby were together. And, really, isn’t that the point? As always we’d love to hear your thoughts! Agreed. And from the first time Cain’s Blade was put in Dean’s hand, Sam was the only one who could snap him out of the influence of the Mark. Only just. Dean’s willingness to be put away outside of earth and people forever was a sign in his persistent humanity. Even as far gone as he was at that point. This should’ve sufficed! It was Death’s fatal error to demand that they kill Sam. That’s the one thing Dean can never do. It goes so deeply against his programming, of “take care of Sammy” that I’m surprised Death even thought it was a good idea. But then Death doesn’t know him very well. he should’ve watched more episodes, before suggesting something so foolish. Then the final mistake was to ask Dean to kill Sam himself and put the scythe into Dean’s hands. At this point Dean is uncontrollably murderous because of the Mark, and his little brother was just threatened by Death. What did Death think was going to happen? Dean would comply? Dean is nobody’s lap dog!